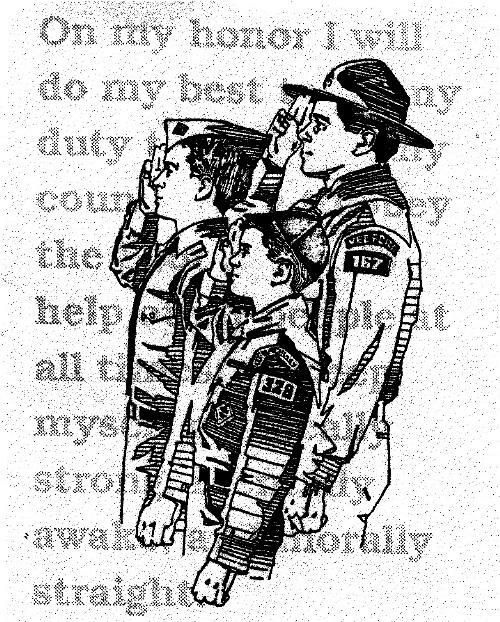 Welcome to the Home Page for Troop 370 of the Boy Scouts of America (BSA). We are part of the White Oak River District in the East Carolina Council, of the BSA. We are proud to be chartered by the Trinity United Methodist Church and meet at their facility on 301 Marine Blvd Jacksonville NC. We especially welcome 2nd years Webelos Scouts and parents, who should be giving serious consideration to finding a Boy Scout troop that is right for them. We encourage all youth, whether a current Scout or new to scouting, to visit multiple units and find their fit. The goal is for the youth to continue in the program.